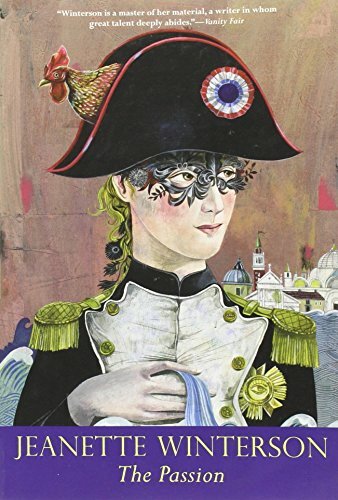 Set in the time of the Napoleonic Wars (with Napoleon himself as a minor character) this is a strange and magical novel - I believe of the magical-realism genre. It is about two charcters: Henri, a French soldier, and Villanelle the web-footed daughter of a Venetian boatman. Webbed feet in this novel appear to be symbolic of masculinity - and gender differences are playfully exploded, as Villanelle has more 'male' characteristics while Henri has more 'female' characteristics. It's a very clever and fun novel. Sent to jubby, as part of a trade. I received this as a RABK from the lovely MyopicMeriugue. Obvivously a woman of good taste! Plan to read and then to pass on to another Sydney bookcrosser Kirst040. She's never read Jeanette Wintersin. I've never read any Jeanette Winterson (as per previous journal entries) so thank you jubby for this introduction. It's a nice thin book so hopefully I'll get to read it shortly. This was an enchanting tale, almost surreal and I found the use of language to be very lyrical esp. the descriptions of Venice which I loved. I did find the first part a bit slow but I was won over on the introduction of Villanelle. There does seem to be a bit of playing with gender stereotypes, Henri was so gentle and Villanelle so strong. I guess I'll be seeking out more Jeanette Winterson. Thanks again for the introduction.